Need something that stands out as unique? Looking for a way to make your neighbors jaw drop? Enjoy a vintage look in your holiday decorating this year with round LED Christmas lights. 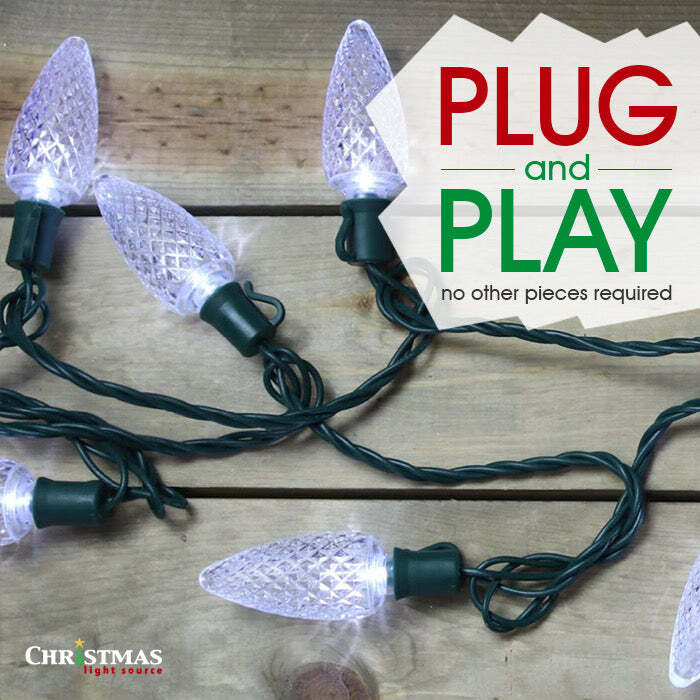 These fun shaped Christmas lights have 50 bulbs per string and can run up to 43 sets in a series. Your large projects just became much easier with no second extension cord! LED lights have virtually no heat output so they are a favorite of crafters. They are a good choice for wrapping grapevine wreaths, Christmas Wreaths and Garland, and decorating for parties. Whether used as a single color or combined with other round LED light colors, any project will sparkle with these faceted LED bulbs. LED Christmas lights are both moisture and weather resistant, so any outdoor applications can be safely used year-round. Restaurants and outdoor patios will become a festive place to party when hanging these light strings. 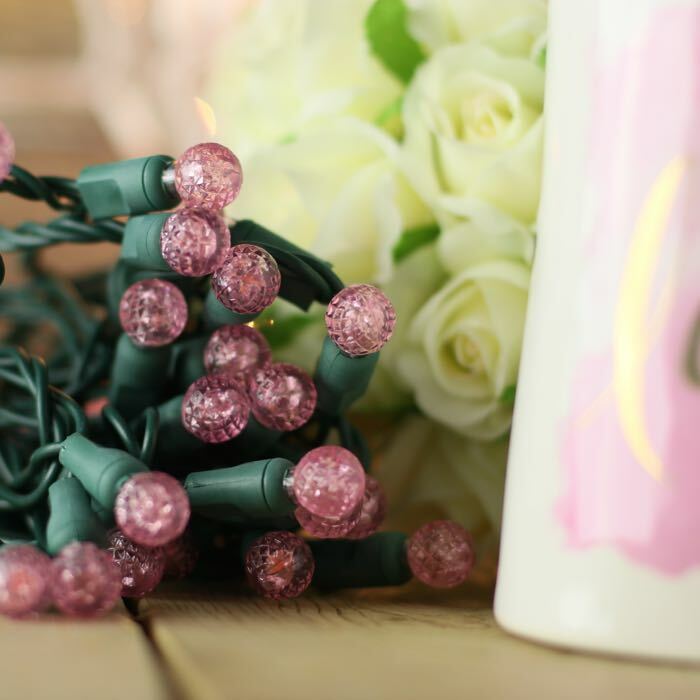 Q: Round Pink LED Christmas Lights Product#: LED-34561R-PB24 Are these pale pink or bright pink? A: These are a brighter, electric pink - not a soft subdued pastel. Q: Two shades of round pink LED lights. I would want the pale pink as shown, but see no difference in stock number. How do I know I'm getting the pale pink? A: The image of the pale pink lens is a photo of the lights when they are unplugged. The lenses are a pale pink until they are plugged in and under operation they look like the photos of the magenta pink lights. Q: * ARE THE LIGHTS SOFT PINK OR HOT PINK? A: These lights are not soft or pastel. The photo on this set of lights that shows the light pink lens is an image of what the light string looks like unplugged. 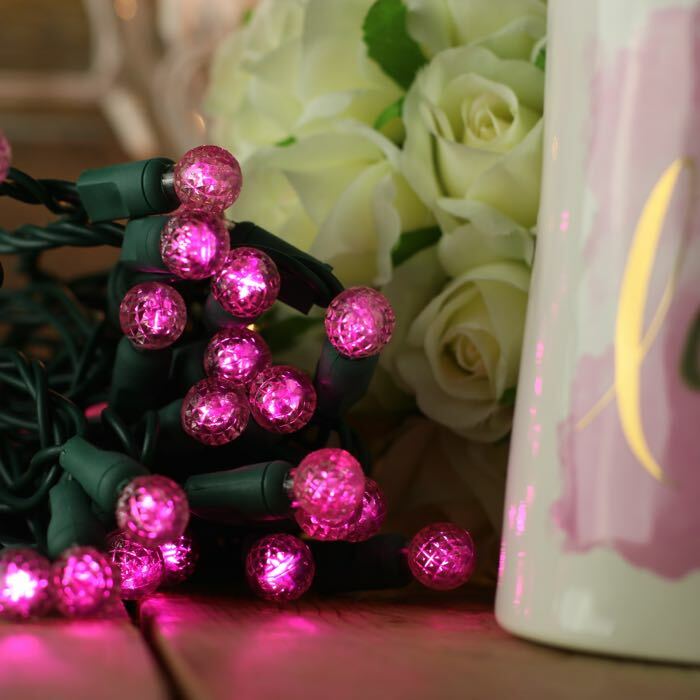 These lights are definitely a fun, hot electric pink! Perfect for parties. If you are planning to use them for a baby shower they might work nicely wrapped in organza to mellow them out a little.